This is it, folks! 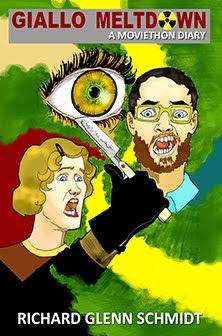 The second issue of Fang of Joy: Eurohorror and Giallo Zine is finally ready for you. In this issue we cover subjects like Paul Naschy in Fury of the Wolfman, Blue Eyes of the Broken Doll, The People Who Own the Dark, and Frankenstein's Bloody Terror; Werner Herzog's Nosferatu; Pete Walker's Frightmare; Michele Soavi's The Sect; the George Romero-inspired Italian Zombie series; Umberto Lenzi's Nightmare Beach; the infamous slasher Pieces coupled with Sergio Martino's Torso; Dog Soldiers. Not enough for you? Good because there's more! 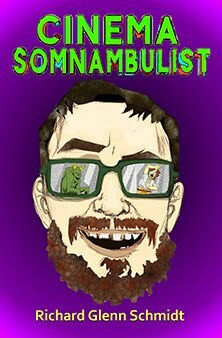 This issue features an interview with Italian cinema master Ruggero Deodato and an interview with the German morbid-king Jörg Buttgereit. There's even an Essential Giallo Checklist- have you seen them all? Every issue comes with a free Doomed Moviethon sticker. Want to trade horror movie zines? Or you don't use eBay? 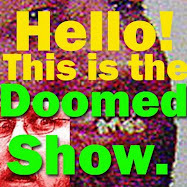 Email me: doomedmoviethon(at)gmail.com and we'll work something out. Hey gang. I know the video says free shipping in the States and $3 to worldwide. Turns out I was losing too much money and not even paying for my printing costs. So now it's $1.75 to ship in the US and $5 worldwide. Sorry about that. Gotta pay for these things! @James - Thank you! I am going to try and get to the post office today. FAUXRROR - Out Now On Goblinhaus Records! !